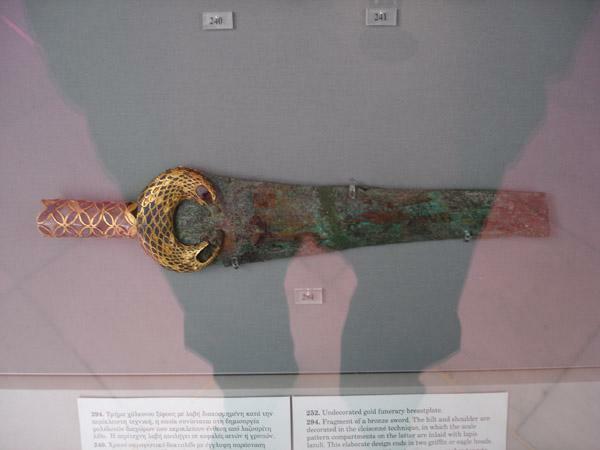 Fragment of a bronze sword. The hilt and shoulder are decorated in the cloisonne technique, in which the scale pattern compartments on the latter are inlaid with lapis lazuli. This alaborate design ends in two griffin or eagle heads.